Do you wonder why you feel affinity to a certain place or a person? Why are you very good at some skills and a complete failure at others? Do you feel attracted to a particular culture or region? Are you repeating the same mistake in your relationships? If the answer to any of these questions is yes, then Past Life Regression Meditation will provide you the answers. Your place of birth, relations, habits, talents etc. are all influenced by your karmas of your past life. Some people get attracted to some unknown person because of their relation with them in their past life and they become more close to them than their blood relations. The quote “Marriages are made in heaven” also justifies past life. The marriages are made in heaven means that it is pre-decided in our past life that where, with whom, and when will one get married. But then why do people break up after that? Why your loved ones become your enemies at times? It is also because of your past life Karmas. Even though, we leave the body on our death and the soul reincarnates in another human form, our soul carry memories from all our incarnations. If we truly want to understand the mysteries of past life memory, imagination and visionary experience, we will have to go beyond conventional scientific thinking. The Latin word for ‘beyond’ is ‘meta’ and we are all familiar with the name Metaphysics, which is the title of the work of the great Greek philosopher Aristotle. This book was actually written after he wrote the Physics. In his later work Metaphysics Aristotle goes beyond the study of the purely material world. Aristotle openly acknowledged, following his great mentor Plato that there is another level to be studied, one that is beyond, above and higher than the physical. 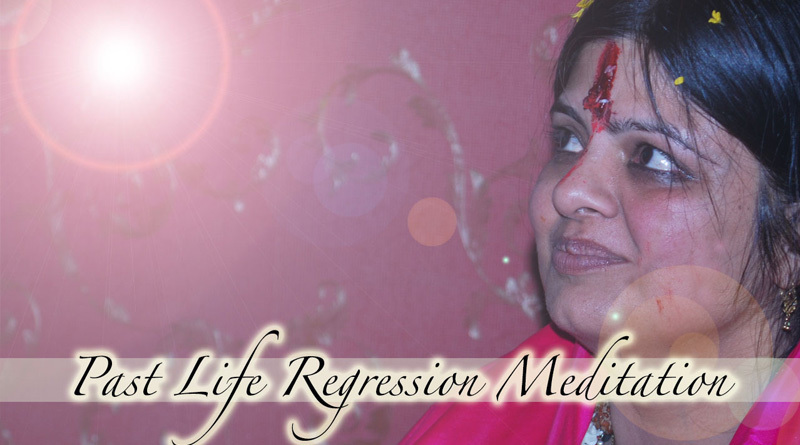 This Past Life Regression Meditation by Institute of Spiritual Sciences is a meditation wherein a person travels back in past to see his past life, comes to know the root cause of problems and diseases which he is facing or suffering in this life, resolves them during the meditative state and gets rid of that problem and disease. It deeply taps those areas of memories, which are unavailable to our conscious mind. We never really forget our past lives. This information is stored in the unconscious mind. It is easy for children to remember their past lives because their minds are not cluttered by their current lives. By the time children reach adulthood, they will have experienced many things that might cloud past life memories. The Past Life Regression Meditation offered by Institute of Spiritual Sciences is very different than other past life regression techniques or any other method to access the past life. It is a very powerful and solution oriented meditation. Late Dr. Ian Stevenson, a Virginia psychiatrist, began studying cases of conscious past life memories in children. Instead of relying on hypnosis to verify that an individual has had a previous life, he instead chose to collect thousands of cases of children who spontaneously (without hypnosis) remember a past life. Dr. Ian Stevenson uses this approach because spontaneous past life memories in a child can be investigated using strict scientific protocols. Studying almost 3,000 cases of children, who were able to recall having lived past lives, he was impressed with their ability to remember not only their previous life names, but even the date they died and details about the villages in which they previously lived. Many were even able to accurately identify members of their “former” family and remembered intricate details of their previous lives. There were some common things among the children that he studied. Some of them had birth marks, which related to their previous life or was related to their death in their previous life. Some of them knew different languages, which they did not learn in their present lifetime. Some of them possessed a Prodigy. A prodigy is a child who possesses a special gift or talent, usually for science or the arts, in which they excel beyond imagination. Children who died an unnatural death developed phobias. For example, if they had drowned in a past life then they frequently developed a phobia from water. If they had been shot, they were often afraid of guns and sometimes loud bangs. If they died in a road accident they would sometimes develop a phobia of traveling in cars, buses or lorries. Some children expressed the wish to eat different kinds of food or to wear clothes that were different from those of their culture. This behavior is sometimes called Philias. What is the need to see our past life? Past life helps to identify not only our past life memory and behaviors, but also provides ways to get rid of our bad habits or patterns of our current life and tap into our strengths that we have had in our previous lifetimes. Sometimes people suffer from diseases or problems like relationship problems, marriage related problems, business related problems etc. to which they do not find the solution anywhere else, but only in Past Life Regression Meditation. Past life regression can lead to many happy and interesting discoveries. There can be surprises too. Past life regression is the process of healing the soul by healing the past. We are all born with good and bad experiences, memories and Karmas of our past lives. These past life unconscious memories, carry an energetic charge and continue to affect us. There could be some things left undone, some promises made, failures, mistakes, success, emotional debts, guilt, gratitude, traumatic or sudden deaths, good or bad relationships – which carry from the past and trigger and repeat the patterns in our present life. These patterns can be positive or negative. They can affect our current life, relationships, behaviors and even our physical bodies and health. Positive patterns can feed talents, bestow wisdom and energize our life purpose. Negative patterns fuel destructive behavior and block our way. By seeing our past life incidence, we release the patterns and free ourselves to live more happily in the present. Past life Regression Meditation goes right to the root of an issue. It helps us to get rid of chronic lifelong symptoms, such as specific phobias, panic attacks, recurrent nightmares, unexplained fears, repeated destructive relationships, physical pain and illness, and so on. For example Asthma could be triggered from the memory of death due to lack of oxygen, inability to breath in any of your previous lives. Lives lost due to drowning, etc. will lead to the feeling of breathlessness. Phobias are those unusual feelings of fear that usually does not have a connection with our present life. They are the result of some trauma or event from one’s past life. For example a man afraid of water may have drowned in a past life etc. When we experience trauma, fear, anger, loneliness or any other negative emotion in our past life, then sometimes such emotions are carried forward in following lifetimes. It is very important to release these emotions since emotions cause illness. After exploring the past, one can find talent and special skills, which one can enhance in this lifetime. It is like a personal exploration and spiritual discovery of personality development. Everything you have learned in your past is waiting to be rediscovered. In past lives, you have had other roles, other professions and other relationships. You might have been involved in activities other than your current interests. You might have done hurtful things, you might have harmed other people. If so, your role now is to heal that relationship. A soldier in the past life might return as a doctor who saves lives. Enemies in past lives might become friends. Nothing is lost. All that you learned or have gained from past lives travels with you through time to make each time the best you want it to be. When one encounters his/her own soul and connects with the universal energy, they feel truly at peace and divine, which cannot be expressed in words. Scientific Evidence of Past Life visualization. Dr. Oz gave a radioactive substance to one of his patient before the past life regression therapy so that they could study her neurologically. Dr. Oz showed the scans of her brain. The scan showed that there was a great deal more activity in the brain during the hypnotic trance. The areas of the brain activated the emotional areas of her brain, as well as an area of her temporal lobe most associated with spiritual experience. Certain people have wrong belief that there is no past life and if there is past life one should not think about past life or see the past life. Some people also think that whatever one sees during past life meditation are just their psychological thoughts and not real. But this is not true. Whatever one sees during the past life meditation, has some influence or similarity in this life’s behavior, body, nature, hobbies, likes, dislikes or habit. There are also some similarities in their liking, disliking, way of dressing, hobbies etc. 20 year old Ruchi from USA, did this meditation and found herself to be a parrot residing at shrines of Vaishnodevi in India in her past life. 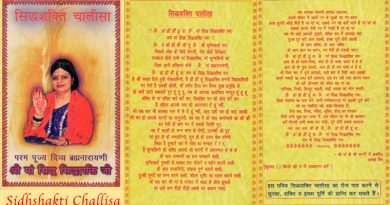 After she did this meditation, she realized that she has a very deep desire to visit Vaishnodevi again and again in this life too. Like a parrot she was very talkative in this life also. 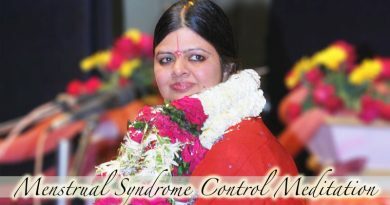 A lady named Neelam, Delhi, India aged 46 years did this past life meditation to find a solution to her incurable foot pain, which she had since childhood. During this meditation she saw that she had dropped some glass article at a place where a cow was sheltered. It had hurt the cow’s foot very badly. During this guided meditation she asked for forgiveness and did some corrective actions. Later just past life meditation cured her chronic and severe pain because of which she was not able to walk. Gurmeet Kaur (name changed) from Punjab, India did this past life meditation for this past life meditation for her personal problem. During the meditation she saw that she was a soldier in one of her past life. Firstly she could not believe it but when she analysed everything herself closely she realized that her way of dressing and her likings in this life had a lot of influence with her past life. If you are curious to know how you have lived in the past, about your characteristics, success, achievement and want to bring the energy from those lives where you lived your fullest potential to your present life, then do this Past Life Regression Meditation. Note: One can see only one past life and resolve only one problem at a time. One shouldn’t even try to see more lives or resolve more than one problem at a time, because every past life has a different kind of connection and every problem is connected with a different time of it. Please do not try to do this meditation on your own because one can not control his conscious, alpha, beta, theta levels and his etheric body on his own. 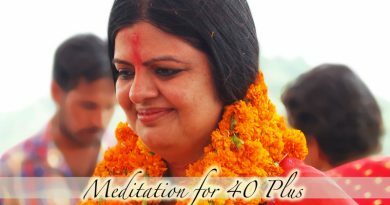 When you do this meditation with recorded music and guided voice on our website www.sidhshakti.tv, then you can be rest assured that Sri Maa will take care of all your levels. You will go and come back from your past life easily and will get positive outcome from this meditation. You need not wait for an illness or emotional problem to access your past lives. Please do not try to do this meditation on your own by recording or learning the method because one does not know how to control the physical, etheric and astral body. 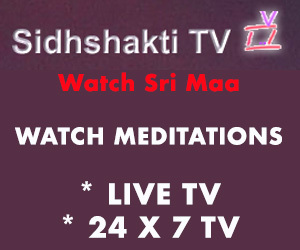 When you do this meditation with the guided voice on our website www.sidhshakti.tv, then you can be rest assured that Sri Maa will take care of all your levels. You will go and come back after doing past life regression meditation and will get positive outcome from this meditation.